I really can't add much that the other detailed reviews has already covered. This installment was a jumbled mess that read more like a first draft outline than a finished work. The first two books were great and it made the third book that much more disappointing. But this book is getting a 4.5 star average review while most of the active reviewers are mostly negative. That makes me question Audibles star review system. Most of the people that read this book and were into this series would have acknowledged this poor offering by Moss. It makes me think that Audible is infested by bots that give good reviews to keep poor books viable to potential readers. Nobody new to the series is going to start the first book if they see that the series drops off at the end. So to sell the series they prop up a bad book. I want to start with the narrator, Santino Fontana, who did a spectacular job at cadence and emotion. 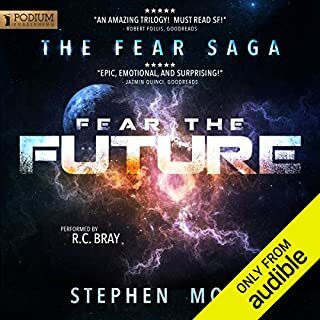 The only problem I had with narration is that this is probably not the best book in audio form. There are many instances where the main character Joe is having an inner monologue with himself and it can be difficult to discern if he's actually talking or thinking. This can be confusing and distracting, but the overall performance was done very well by Fontana. The story is very well written. It follows the events as Joe falls into an obsession with a girl he meets named Beck. There are no characters to like in this story. From uppity rich kids, to a stalker, a bad father, and a few other characters that have no redeeming qualities. Kepnes writes about a monster without delving into the complete evil that is inside of him. This makes him like an every-man and someone you could meet on the street without ever knowing their hidden depths. This is possible the most terrifying part of the story. The problem I had to keep this from a five star review is that this story becomes entirely predictable. There are parts that start to drone on and where a climax should be there is total idleness where the characters have no progression at all. The problem with putting all your hooks into the beginning of the book is making it lame at the ending. There are no sudden twists or revelations - which is surprising because the book often talks about Stephen King and Dan Brown novels where there are plenty of twists and revelations to look forward to. 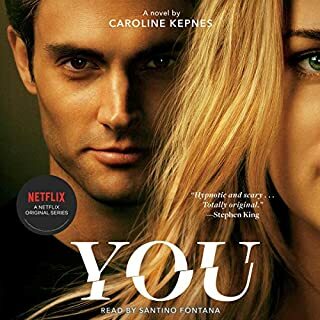 Because there are no relatable characters and the book becomes predictable I can't say it's great, but Kepnes did a great job at creating an intriguing enough fiction. Not that every book needs a hero, but the book puts the reader in the position of having to root for Joe or Beck and neither are worthy. Because of that the ending is meaningless and the book is just blah. Mayhem. You won't find this story on television. Hollywood gets more than it bargained for when television's hottest star arrives at the Miami Police Department and develops an intense, professional interest in a camera-shy blood spatter analyst named Dexter Morgan. Mega-star Robert Chase is famous for losing himself in his characters. When he and a group of actors descend on the Miami Police Department for "research", Chase becomes fixated on Dexter Morgan, the blood spatter analyst with a sweet tooth for doughnuts and a seemingly average life. 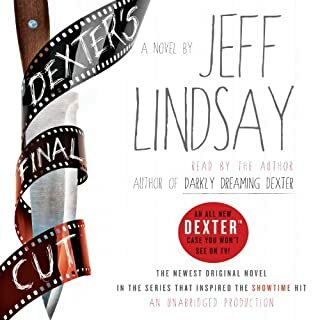 Jeff Lindsay turns Devious Dexter into a Dead-beat Daddy Dexter. Instead of taking the elements that made this series enjoyable, Lindsay turns this book into a 14 hours scathing review of Hollywood. This book shows actor Robert Craft who follows and studies Dexter so that he can play a forensic analysis in a TV show. I can't help but feel that the annoying and arrogant Craft who is trying to be like Dexter is how Lindsay feels about Michael C. Hall. Lindsay's performance in his novels is just annoying. Instead of being a dark and demonic character Lindsay's voice is sheepish and tiring. It make the character sound like the fat kid that got picked on in school. 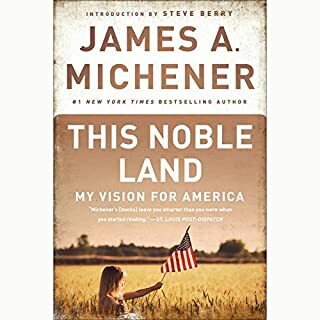 This Noble Land is Michener's most personal statement about America, an examination of the issues that threaten to fragment and undermine the nation - racial conflict, the widening gulf between rich and poor, the decline of education, the inadequacies of our health care system - as well as a thought-provoking prescription for sustaining our "outstanding success". First published shortly before Michener's death, This Noble Land stands as a wake-up call for a troubled era, infused with the wisdom and passion of a lifetime. Politically Michener and I are opposites. But that doesn't mean This Noble Land doesn't have anything to offer. No matter where you stand politically this book offers things you will both nod and shake your head to. The Democrat and liberal party of Michener's day is quite a bit different than the base party today. What's startling is when Michener lays out the problems of the his day and we can see how these things are still a problem and in many cases have gotten worse. I would like to see where Michener stands on events today. I was in near complete agreement with Michener for most of the book and his warnings are wise and thought-worthy. But especially near the end Michener loses his party blind look at America and goes into a polarized ideological spiel about everything wrong with the Republicans of the 1990s and how only his views should be an acceptable fix. He's right in many ways, but often his take all approach is why parties don't compromise. But this is just the last chapter or so and shouldn't be reflective of the entire book. This Noble Land is a great read, particularly for today's generation of polarized party politics. IF only we all could take such an honest look at America and come together to really fix the problems that plague us. 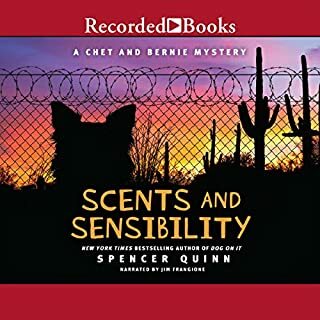 In the latest entry in the immensely popular Chet and Bernie mystery series, Private Investigator Bernie Little and his canine companion, Chet, return home to encounter some alarming developments. First off, Bernie's wall safe - normally hidden behind the waterfall picture in the office - is gone, and with it Bernie's grandfather's watch, their most valuable possession. And next door, old Mr. Parsons is under investigation for being in possession of a saguaro cactus illegally transplanted from the desert. Bernie and Chet go deep into the desert to investigate. Spencer Quinn (Peter Abrahams) turns in another quality detective story from the perspective of everybody's favorite detective dog. Like any great sequel we get deeper into the lives and history of the characters that we're following. Quinn keeps Chet comical and this novel his inner thoughts aren't as repetitive as some of the other books have been. What was one of the most memorable moments of Scents and Sensibility? This book ends with a "what just happened?" "what's going on?" moment, but it is obviously open ended. Quinn does this often in this series to keep people talking and get people interested in the next book. He did this earlier, I think in Thereby Hang a Tail, when the book ended making the reader think Chet is dying of cancer. Then in the next book a tumor is removed and everything goes on as normal. Since this book ends so obviously open ended I suspect what is what's happening in this books memorable ending. What about Jim Frangione’s performance did you like? Frangione does such a great job at Chet's cluelessness and humor. He's not so great with female voiced and mixing up characters, but this series is really about the dog. I can't imagine anyone else playing Chet. What was most disappointing about John W. Vance’s story? This book did not add to the apocalypse genre at all. In fact it shamelessly took from other works. The book is separated into two stories; a group of people in Colorado and a group in the Midwest. The Colorado group could have been taken from the camps in The Passage and the Midwest group is a perversion of Will Smith's movie version of I Am Legend. The Death started with so much promise. 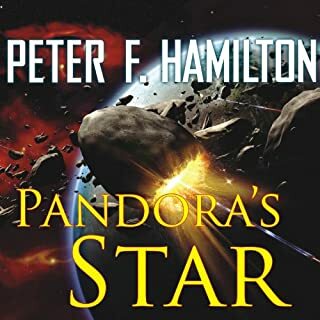 In the prologue an asteroid lands on Earth and a civilian team is chased away by a government team. The civilian team ends up dying by a mysterious virus. So by the first chapter I have so much hope in this book. My mind swarms with ideas about mixing aliens and zombies. But after the first chapter this book has nothing left to do with the virus or anything extra terrestrial. In fact the asteroid ends up having nothing to do with anything. The author changes midstream and tries to work between a military novel, a political thriller, and a story of survival - but he fails at all of it. By others, the author is applauded for his military work attributing to the dynamic characters in this book. I find the characters the least attractable part of the book. They are all very one dimensional. The good guys are all altruistic and clueless. The bad guys are all cruel and arrogant. There really is no middle ground. The author even describes how one character is conservative and that character turns out to be typical cookie cutter conservative. One character is said to be liberal and that person turns out to be typical cookie cutter liberal. Just to add a twist one character says they're libertarian, then goes on to define the typical cookie cutter libertarian. The book is full of character generalities and poor development. The military types are all knowledgeable about everything military. Even the marine's girlfriend is all knowledgeable about everything military. That's unusual because military skills are often specialized. That's by design. Pilots aren't usually expert marksman and know how to make bombs. These are specialized skills. Even in infantry units not every soldier is a marksman. There's just no depth there and the author uses these extraordinary people to get out of plot holes (oh, and there was a plane there the entire time but they never use it). The military area is especially lacking because it is supposed to be the author's area of expertise. Good fiction has a sense of realism. A good fiction author can put their audience in the world they're writing. Vance doesn't do that at all. The majority of the book takes place around April. They can have some brutal weather in Colorado, Iowa, and Illinois in April. There is never a mention of weather in the entire novel. Then there is the corn. Fields of corn. Corn so plentiful the characters use them as cover and concealment. The author even mentions how they can use them like underground tunnels from one place to the other. If the virus hit in October then who planted all this corn? It should have been harvested long before this novel. Corn does not grow naturally in the wild so I guess we are to expect that this is long dead corn that stayed standing after the Midwest winter, or someone is out there cleaning corn seeds and planting them everywhere. But despite these plentiful corn fields the characters have to resort to cannibalism. But just the bad guys. The good guys seem to have all the food they need. Not really compelling for a survival novel, but that's just how it's written. Fuel is also apparently easy to come by in this future apocalypse. Only at the very end does someone say to turn of the humvee to save on fuel. After midway through the novel when the protagonists get vehicles and everybody seems to have a car (but they only use the most fuel inefficient) I start to wonder why they didn't just get a car in the beginning when they were walking state to state. The military flies around in hostile territory with gas guzzling birds. Even after they lose the first group of civilians, they take another group of civilians in; just for a sight seeing tour - nothing too important. People still die. They'll probably fly back in again because the heroes in this novel are just stupid. The author eventually devolves into pedophilia and specific child cruelty. This was unnecessary but it seemed like he was skipping over so many plot lines he just wanted to get it in there for perverted enjoyment. At one point a 6 year old kid fools his captors and gets to the altruistic good guys. Because that kid wasn't the kid the good guys were looking for they just give him back to the bad guys to supposedly be sold into slavery, or to be raped, or to be eaten. They never tried to save the kid because he wasn't the one they were looking for. Things that are major plot lines in the beginning are often forgotten by the end. Just to add to the author's poor planning it ends with the protagonists useing a humvee to try to chase down their friend in an SUV. The humvee is loaded with a .50 cal and anyone who has been in a good military humvee knows you're not going to get enough speed to chase anyone down and you're going to have to make frequent stops for fuel. At lest they don't have to worry where they're going to get gas from. 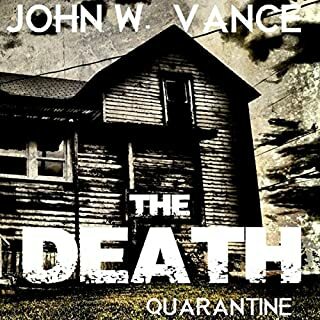 The fuel in my lawnmower might go bad over the winter, but in John W. Vance's world it'll just last forever. I won't be getting the next book in the series. It's a little presumptuous for novice writers to only write in series. If he can't get a single self contained novel right then I'm not going to waste time on getting 3 of them. This novel was written for the sequel and has no conclusions or closure. The narrator was way too chipper and upbeat for an apocalypse novel. He made the characters seems way too happy about the situations they were in. 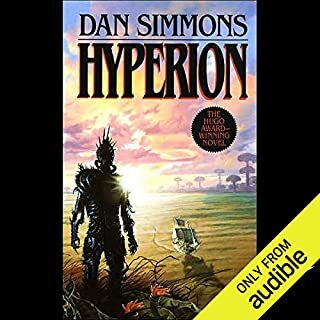 The narrator only has about three or four good voices anyway so in a book with so many characters he eventually used voices that were way to extreme or goofy for the situation. 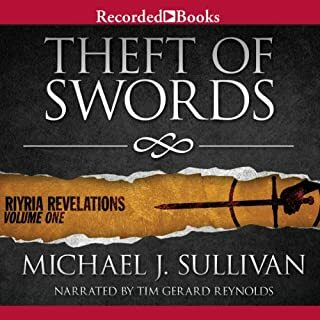 What disappointed you about Theft of Swords? The book ends with the hint of more adventures for the character. I would certainly want to hear about those adventures and buy the following books if this story wasn't told so poorly. The story held no cohesion. It played out very much like a Dungeon and Dragon game complete with a game master that continued to alter the story with every installment. The three or so quests that the protagonist embark on don't naturally evolve and often seems forced. The main thief characters are introduced as mysterious with no real discussion of their personalities which often change through the course of the story. Their acquaintances are introduced here and there but forgotten then remembered for a line or two later. The narrator didn't do anything to help this book. I don't understand why all medieval fantasy stories have to be done with accents from the British isles. I don't understand it but at least I can accept it. The performance here is done by someone with a British accent but he is equipped with just variation of other bad British accents. The accents were so bad I was hoping that it was an American doing bad accents but it's not. The narrator often goes from Irish to Sottish to London accents and characters sometimes lose their accents as it goes. Family members from the same household don't even sound like they're from the same reason. The characters are agreeable and like I said I wouldn't mind knowing more of their stories. But they were poorly put together here in Theft of Swords in a very disappointing manor. What an ending; no, what ending? I really liked getting into this book. I thought it gave a different perspective on an End of Days scenario. 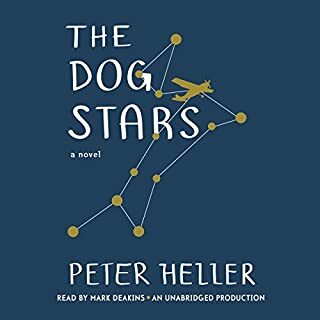 Would you be willing to try another book from Peter Heller? Why or why not? I thought the writing was unique. It definitely was not a cookie cutter novel and I like how Peter was a bit out of the box literarily. I like the description between the relationship between the man and his dog. It could have gone deeper here but at the same time I think the book dragged in certain spots with the dog too. Did The Dog Stars inspire you to do anything? Uh, no. We're talking about a fictitious novel here. Not a trade skill manual or The Bible or some political mantra or something. What kind of question is this? It's a book for entertainment. I guess some books inspire me to fall asleep and The Dog Stars kept me entertained enough to stay awake. There's a positive! No ending. No mention of a sequel that I can find but it doesn't matter because this does not qualify as a standalone book. Many questions left unanswered and not simple stuff like, "will they live happily ever after"? Serious plot twists were left out in the open before you heard, "Audible hopes you have enjoyed this program." I can not review this book based on the narrator. If I did it would have to get a one. The voice would start strong and fade start strong and fade... A lot of two characters would be talking and the narrators voice would be the same. You couldn't tell who was talking. 3/4 through the book I said this is a four star book. It lost a star because of lack of an ending. This book is almost 40 hours long and it all but says "too be continued" For a 40 hour investment you should of have an ending and just add to the story in another book. This books obvious downfall is it's amount of characters. In the 5th part (about 28 hours in) I'm starting to get into the story but it is still introducing new characters and going on about thing I could care less about. A good editor should have cut parts to keep the story streaming. Instead the book flows very poorly. The beginning of the book talks you into every day and almost minute to minute life of the characters. But just when the story gets going it jumps weeks and months at a time. Denying me to learn about interesting characters but forcing me to know about boring interactions in the governments senate. The senate is not the story. The characters remind me of the idiocracy theory. Dumb people populate more than smart people so in the future people will be outnumbered with idiots. At least to me that seems like how it's written. The super smart detective who can't solve a case in over 100 seems to be right on par with the average human today. This book gets 3 starts from me and a commitment to read the sequel because of some really good parts. The story of the alien race and the interaction it make with humans is interesting. The development of a mystery is entertaining though I don't like the author's portray of the detectives. Besides, I've already invested about 40 hours into it I need to find out how it ends. This book was well woth the 20 hours! I wish all great books lasted as long. Even at the end I wish it wasn't over. Some people didn't like the ending but I absolutey loved it. It was almost unexpected. I kept looking at the time and said it won't end right - just not enough time left. But it suprised me. Not everything ends happily ever after. I'm going to hold off from listening to the next book in the series because I want the ending of this one to keep sinking in. I love how every character, a stranger to each other, were intertwined. I loved the priest story and the story about the baby almost made me cry. It didn't need the tree ship captain. I don't know if that character was just there to make a number or if the character will return in another book. But as a stand alone story the tree ship captain didn't need to be there. By the way 5 is a prime number too so they could have left someone behind.